The highly awaited international standard ISO 45001 for occupational health & safety has suffered a slight set back but this delay should be seen as an opportunity to refine and improve upon the draft standard. The first Draft International Standard (DIS) has failed to attain the necessary votes for approval at a recent ballot of committee members. 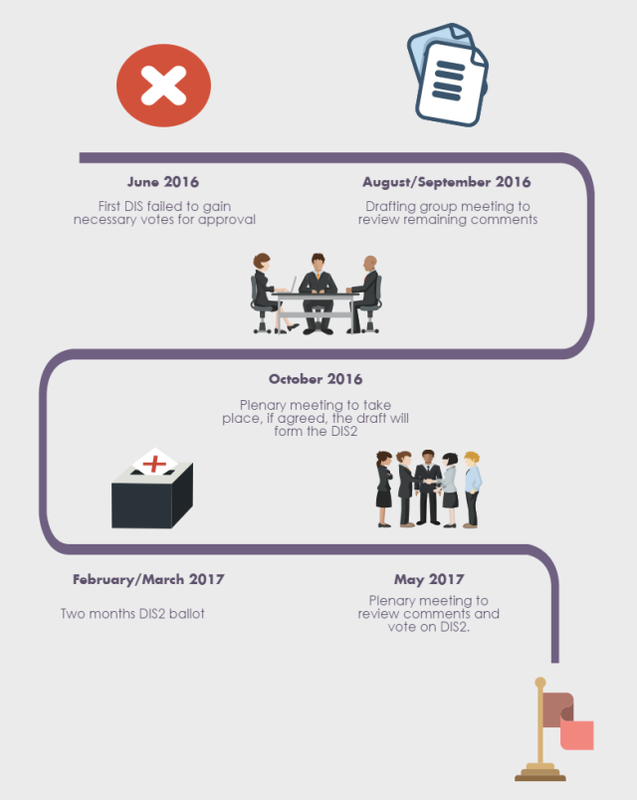 ISO/PC 283, the Project Committee responsible for the development of the new standard met recently to make a decision about the next stage of development, consultation and ballot process. After much consultation, ISO/PC 283 confirmed that ISO 45001 will proceed to a second Draft International Standard (DIS2) stage. DIS2 is expected to be available by early 2017. This will push the final publication of the new standard out by several months. If a Final Draft International Standard (FDIS) is not required, the publication of ISO 45001 is expected by June 2017. If it is required, publication is not likely to happen before November 2017.